A dedicated online service has been set up for marine culture investors in the Russian Far East enabling them to form boundaries of a fish farming site and make an auction bid for it online, according to Deputy CEO of the Far East Development Fund Dmitry Chernyshev. Mr. Chernyshev quoted by Fishnews explained that the mastermind behind is the Far East Development Fund in association with the Federal Agency for Fisheries (FAF) and the Ministry for Development of Far East. First e-auctions for marine culture sites have been already conducted in 2018. As a result, 36 fish farming sites altogether more than 7,000 hectares strong have been auctioned out of 46 sites put up for sale with the total area of more than 9,000 hectares. Thirty-three contracts for the sites’ exploitation have been already signed between the winners and FAF as a result. As per late November via the newly-added online feature for formation of the fish farming sites five more applications have been submitted with the sites’ total coverage of ca.1,300 hectares. Contract making procedure is already going on for two of such sites. The project's initiators are now scrutinizing introduction of auxiliary information services to help the participants form the borderlines of the fish farming sites. Such services would contain the info on depths, currents and temperatures. Besides, the developers are considering options for providing access to aerial photographs of the areas in question. Such pictures would allow the investors to assess not only the suitability of the water area, but also the nearby coastline as to its approachability and respective infrastructure. All bids for fish farming sites are allowed only via www.aquavostok.ru functioning in two ways. First, the online service enables to form boundaries of a fish farming site within the available water area using an interactive map. The map shows the water areas available or unavailable for marine culture and their legal status. Second, the website automatically calculates the site’s plottage, its initial (minimum) price and specifications for stocking and harvesting of aquatic biological resources. Besides, the service displays a card describing main production, geographical and economic indicators. 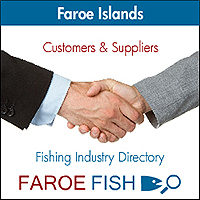 Such data is included into the documentation templates by means of automatic information exchange between the electronic marketplace and the Federal Agency for Fisheries. Investors can also purchase the rights for the sites’ exploitation at electronic auctions. In order to get access to the system it is necessary to be admitted to the auction and have a digital signature. On submitting the bid and receiving notification about the auction's day, the applicant requests participation in the auction through his/her virtual office and transfers a deposit to his account with the electronic marketplace. The respective information is immediately forwarded to the auction’s organizer – FAF. Within 10 days after the investor’s bid for formation of the site’s borderline FAF has to issue the respective order specifying the day of the electronic auction. On the given day the approved participant will enter the closed section of the site to take part in the auction. The investor will see his own price bids and the bids of his competitors. To keep the auction anonymous all names remain undisclosed. Upon expiration of the specified time period the auction is to be stopped and the results are to be summed up. The auction’s protocol is automatically compiled and forwarded to its organizer. The winner is the one bidding the best price for the lot. This participant has to pay the balance and electronically sign the contract on the site’s use within 20 days. The whole procedure from submitting the bid to contract signing should take no more than 80 days.